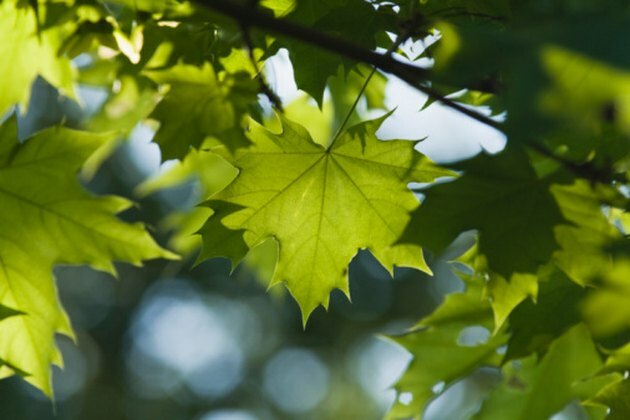 What Is the Habitat of a Maple Tree? Maples are among the most common trees in North America as well as some of the most easily identified. Different varieties vary in appearance, but those multi-lobed, hand-shaped leaves are a dead giveaway. Different varieties also have different habitats. Some areas of the eastern United States are home to several maple species, while in other areas maples are hard to find. Maples grow in different habitats across the US. Sugar maples grow throughout much of the eastern United States where they are restricted to regions with cool, moist climates (see references 1). The native range of the sugar maple extends from Maine south to Tennessee and as far west as Missouri in the south and Minnesota in the north. They grow best in well-drained loam soils with a pH from 5.5 to 7.3, but are more adaptable in the northern part of their range. Closely related to the sugar maple, black maple is most common in the Midwest and Plains states, but it can be found as far east as New York and Pennsylvania. Black maple is better adapted to warmer and drier climates than sugar maple. It grows best in well-drained soil, but other soil characteristics vary from one part of this tree's range to another. Red maple is among the most widespread and adaptable tree species in the eastern part of North America. Its native range includes all of the eastern states and stretches as far west as east Texas. Red maples display the greatest adaptability of any maple species when it comes to climate and growing conditions. Though ideal conditions consist of moist, moderately drained soils a, red maples seem equally at home in swampy areas in Florida as on dry, rocky New England ridge tops. The native range of silver maple is almost identical to that of sugar maple, except that it extends farther south into parts of Alabama and Mississippi. It prefers moister sites than sugar maple, however, and is often a dominant species along stream and river banks, around lakes and ponds, and on the outskirts of swamps and bogs. A small, shrubby variety, striped maple grows as an understory tree in forests throughout New England and the mid-Atlantic states. Its range extends farther south only at higher elevations in the Appalachian Mountains. Moist, well-drained sandy loam soils produce the best growth in this species, which fares particularly well on shaded, cool northern valley slopes. One of few western maple varieties, bigleaf maple is native to the Pacific Northwest, where it grows from central California to British Columbia in areas no more than 185 miles from the Pacific Ocean. Bigleaf maple is highly adaptable in terms of climate; it grows in cool, moist sites in the northern part of its range and in dry flatlands in the south. Moderately moist, well-drained soils are ideal.